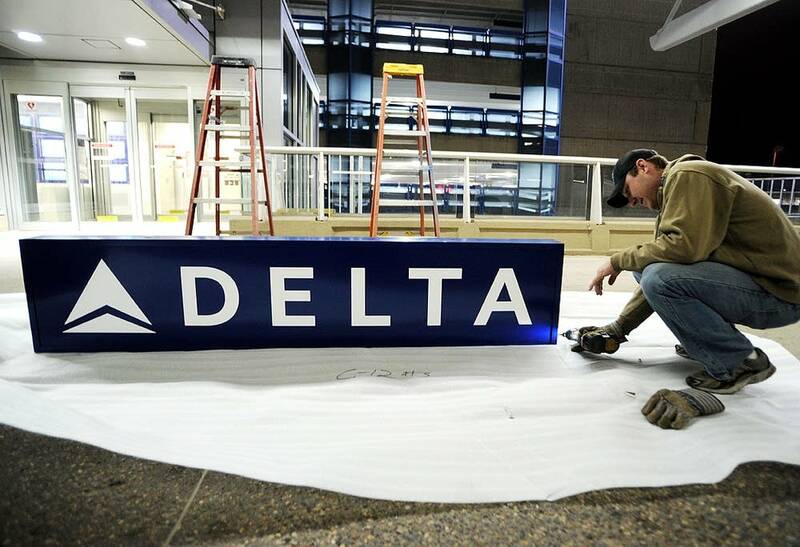 Delta Air Lines marked the official opening of its Minnesota headquarters Friday. The headquarters is located in the former Republic Airlines headquarters building, near the Humphrey Terminal at the Twin Cities Airport. Atlanta-based Delta is in the final stages of absorbing Northwest Airlines. Bill Lentsch, a St. Paul native and 21-year Northwest veteran, oversees Delta's operations in Minnesota. Lentsch said Delta will exceed its promise to keep 10,000 jobs in the state. "In the end we're going to report numbers that are well north of 12.000 employees," Lentsch said. Lentsch promises Northwest will maintain direct flights from the Twin Cities to Paris, London, Amsterdam and Tokyo. "Long-term, Delta will remain committed to those international markets," he said. Most former Northwest jets have been repainted in Delta colors. The final flight of a red-tailed Northwest jet will come by the end of March.